Closed Tuesdays and Wednesdays for March 2019! Open 8-6 after March 16, 2019! Last day of the season, March 31! 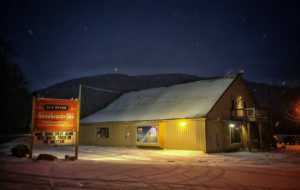 Our valley shop is located on the corner of HWY 219 and RT 66, .5 miles south of the original Snowshoe Mountain Resort entrance. If you’re approaching from the south we’re 19.4 miles north of Marlinton WV on 219. Plenty of parking permits customers to pull right up to the front door when retuning or renting equipment. Our rates at this location are a very good value compared to our competitors. In order to get these super rates you must return your rental gear to the shop it originated from. All Elk River equipment users are welcome to switch out rental gear at no charge. A comfortable snug fit makes for a happy rental customer. We’re a locally owned and operated family business which great appreciated your business and continued support. Open Mon-Sunday 8-6 pm after March 16, 2019! Last day of the season, March 31! 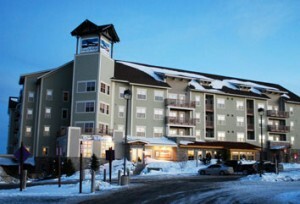 Our Snowshoe Mountain Resort location is next door to the Top of the World check complex. This shop is just a few yards from the Soaring Eagle high speed quad. We also face the general parking lot of the resort. Easy in and out make this location one of the best at the resort for a quick turnaround. 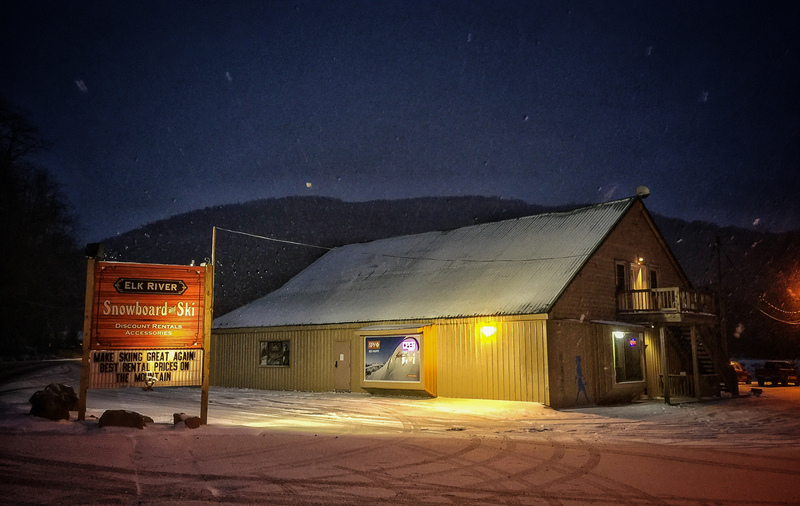 Our hours during the winter are 8am – 10pm while night skiing is offered at Silver Creek. During the busy check in days we do stay open until midnight. We recommend renting your equipment the night before which saves lots of time and energy the next morning. We’re a locally owned and operated family business which greatly appreciates your business and continued support.